There’s a new kid in skool, and his name is GIR…B? GIRB?! That’s just GIR with an extra B tacked on the end! 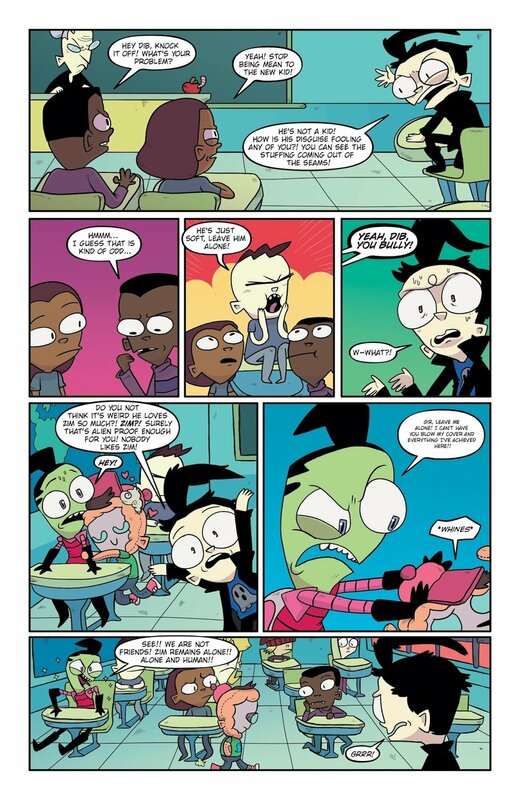 But somehow the skoolkids are all fooled—except ZIM of course, he’d recognize his lackey… er, servant?… anywhere! 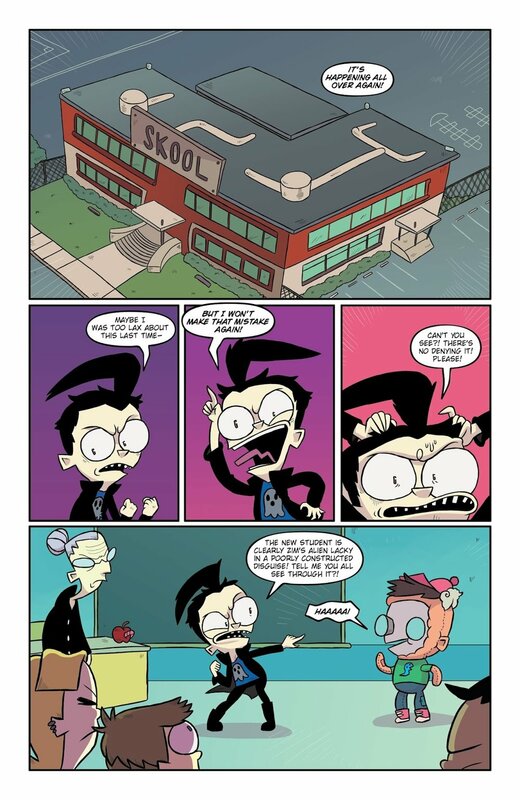 And also Dib, because he’s the only one who can see through bad human disguises, apparently. Special one-shot issue written and illustrated by Sarah Graley (Rick and Morty: Lil’ Poopy Superstar, Kim Reaper)! Invader Zim #26 available now from your local comic shop, and will be collected in Invader Zim Volume 6, out in September 2018!